Crude oil prices fell more than 5 percent Thursday after OPEC extended a production cut deal which had originally help to buoy oil prices above $50 per barrel. 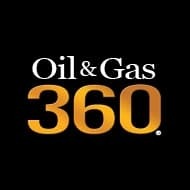 The extension will see the group continue to leave 1.2 MMBOPD of production in the ground for an additional 9 months, a decision which was already baked into oil prices leaving markets disappointed following the news. An additional 0.6 MMBOPD of production cuts will also continue from non-OPEC countries. Russia, which makes of the majority of those cuts, will continue to contribute, but has indicated that it may be willing to go even further to support oil prices, if necessary. Extending the agreement was a “very important long-term fundamental decision,” according to Russian Energy Minister Alexander Novak. “We could have seen a much worse market reaction if no decision to extend the declaration of cooperation was taken,” but “if any actions or adjustments are needed,” OPEC and non-OPEC producers can act accordingly. “These adjustment actions can both be aimed at increasing the number of cuts or reducing the number of cuts — all would depend on the market situation, what is needed for the market,” said Novak. The country pledged last year to reduce production by 300,000 barrels a day from its post-Soviet record of 11.247 million in October. The extended deal implies the same output caps that were agreed on last year for all non-OPEC states, Novak said. With Russian presidential elections approaching in March of next year, and the country navigating international sanctions for its involvement in Ukraine, higher oil prices and a healthier national balance sheet would be a boon for President Vladimir Putin, who is expected to run for another term in office. A stronger ruble has reduced the windfall from Russia’s energy exports, which are denominated in dollars, but higher overall oil prices have more than made up for changes in currency. Russia continues to hold its oil price outlook at $50 to $60 on average for this year, Novak said. For his own part, Novak thought that current cuts would be sufficient to rebalance markets in the third quarter. “With regards my own forecasts, I think that within the next two months before the next meeting of the ministers in the [Joint Ministerial Monitoring Committee], we will see a continuation of the rebalancing in the market, a reduction of inventories,” he said. Crude oil inventories in the U.S. have declined over the last several weeks even as activity in the oil patch increased. In the week ended May 19, 2017, inventories fell 4.4 MMBO, by more than double what economist expected. Inventories are now inside the five-year historical average but still remain elevated. How Much Will Inventories Shrink As OPEC Extends Cuts?